There are many modifiable lifestyle factors that contribute to sight loss and pharmacists should be able to advise patients on how to reduce their risk. There are more than 200 eye conditions, ranging from common problems (e.g. dry eye disease [DED], cataracts and glaucoma) to rarer diseases (e.g. ocular melanoma and vernal keratoconjunctivitis). Some of these have no symptoms and can cause loss of sight before patients even realise what is happening. There are 1.8 million people in the UK who are living with significant sight loss, 50% of which is avoidable. As such, the government’s Public Health Outcomes Framework has highlighted preventable sight loss as a health priority. There are many services that pharmacists and healthcare professionals can signpost patients to that support the aim of reducing the incidence of preventable sight loss. This article describes how to identify patients in at-risk groups and counsel them on lifestyle changes and the treatments that are available. It also outlines the ‘red flag’ symptoms as well as when and where to refer patients. In addition to increasing the risk of heart disease, liver disease and certain cancers, persistent alcohol misuse can also affect long-term eye health. Alcohol use has been shown to exacerbate the signs and symptoms of DED (also known as keratoconjunctivitis sicca), a condition where the eyes do not make enough tears or the tears evaporate too quickly, leading to the eyes drying out and becoming red, swollen and irritated (see Box 1). A case–control study in ten patients following ethanol ingestion demonstrated that ethanol was detected in the person’s tears and was associated with a decreased tear break-up time (through ethanol acting as a solvent), increasing tear osmolarity and disturbing cytokine production. The common chronic condition dry eye disease (DED) is estimated to affect between 1 in 3 and 1 in 20 people. Loss of vision or serious visual disturbance (a symptom of retinal detachment). 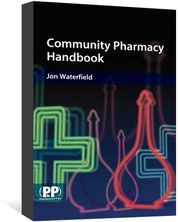 For more information on identifying DED and treatment recommendations in the community pharmacy setting, see Wolffsohn et al.’s ‘Identification of dry eye conditions in community pharmacy’ and Evans & Madden’s ‘Recommending dry eye treatments in community pharmacy’. Heavy alcohol consumption has also been associated with known causes of blindness, including age-related macular degeneration (AMD; when the cells in the central part of the retina become damaged and central vision is impacted as a result). A meta-analysis of five published studies found that heavy alcohol consumption, defined as an intake of ≥30g of alcohol/day, was associated with an increased risk of early AMD. Alcohol is thought to increase oxidative stress by modifying the mechanisms that protect against it, resulting in AMD. The link with cataracts (clouding of the lens in the eye) is less clear, but an increased prevalence of cataracts has been reported in patients with heavy alcohol consumption. Pharmacists should counsel patients in accordance with current NHS guidance: people should not drink more than 14 units of alcohol (a unit of alcohol is defined as 10mL of pure alcohol, roughly equivalent to 8g) per week and alcohol consumption should be evenly spread over three or more days, with several alcohol-free days each week. Patients can be signposted to organisations that can help provide support alongside the NHS, including , and . A history of cigarette smoking has been associated with an increased risk of AMD and is related to both its incidence and progression. Current smokers have been shown to be at an increased risk of developing AMD, compared with ex-smokers and non-smokers who are exposed to second-hand smoke. Cigarette smoke has also been shown to have a dose-related relationship with the formation of cataracts. It has also been linked to diabetic retinopathy (the blockage of blood vessels at the back of the eye), DED and glaucoma (a condition affecting the optic nerve). A cross-sectional survey of 260 teenagers found that fear of blindness was just as compelling a motivation for smoking cessation as fear of lung cancer, heart disease and stroke. Discussions relating to eye care could, therefore, help motivate patients to quit smoking. Pharmacists and healthcare professionals should enquire on the smoking status of all patients at least once per year and should discuss it during routine consultations. They can even provide advice to patients outside of smoking cessation services or the provision of nicotine replacement therapy, including during the purchase of over-the-counter (OTC) medicines, through medicines use reviews or during local or national campaigns (e.g. No Smoking Day). High levels of exposure to ultraviolet (UV) A and B light are known risk factors for numerous eye conditions, including cataracts and cancer. Most brands of prescription glasses now contain a UV filter, but not all sunglasses provide adequate protection. Patients should be counselled to ensure their sunglasses are either CE or BS marked (i.e. proof of conformity with European or British standards, respectively), and are the appropriate filter category for their use (filter categories range from 0 to 4, where 4 is the darkest lens). For further advice, see Box 2. Sunglasses will also absorb high energy visible radiation (blue light). It is recommended that no more than 95% of blue light should be filtered to avoid colour distortion. Modify the screen environment, taking into account lighting and glare, airflow, screen and seating configuration and blue light. If difficulty focusing is a problem, patients should be advised of the Health and Safety Executive guidance (i.e. that employers have to provide an eye test if an employee habitually uses display screen equipment as a significant part of their normal day-to-day work). Sodium hyaluronate is often recommended for treatment of more advanced DED. Ocular lubricants may ease symptoms. For patients with double vision, refer to an orthoptist. OTC treatments for eye conditions are available in a range of formulations, including sprays, drops, gels and ointments. Patients should be advised of the various products, their potential modes of action and administration methods, to allow them to make an informed decision. 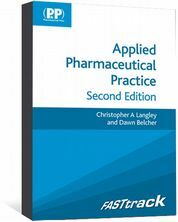 For further advice, see Barai and Hammond’s ‘Computer vision syndrome: causes, symptoms and management in the pharmacy’. Pharmacists can reinforce the importance of regular sight tests; for the majority of adults, the recommended interval is every two years. However, some higher risk patient groups are recommended to have more frequent sight tests (see Box 3). Some patient groups also have additional risk factors for glaucoma (e.g. Afro–Caribbean or Asian patients, or patients who are aged 40 years and over with a family history, are living with diabetes or high blood pressure, or are taking systemic or topical corticosteroids). These patients should be signposted to their local optician if they have not had a recent sight test or have any vision concerns. Similarly to exemptions from NHS prescription charges, some patient groups are exempt from paying for sight tests. It is worth checking with patients to see if they qualify. People aged 7–15 years with binocular vision anomaly or rapidly progressing myopia (i.e. have a squint or are short-sighted). People with diabetes who are not part of a diabetic retinopathy monitoring scheme. People with diabetes who are part of a diabetic retinopathy monitoring scheme. All patients taking hydroxychloroquine and chloroquine should receive regular eye screening owing to the risk of hydroxychloroquine retinopathy, as stipulated by the Royal College of Ophthalmologists. At least 7.5% of patients taking hydroxychloroquine for more than five years will have some retinal damage. Hydroxychloroquine screening schemes are still being developed across the UK; however, it is still important to remind patients about the importance of regular eye screening. The rule of five is a helpful reminder: if patients are taking more than 5mg/kg/day for more than five years, then annual eye screening is required. Around 50% of patients with glaucoma are non-compliant with treatment. 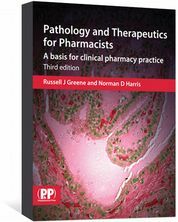 Given the consequences of treatment failure, pharmacists should consider reasons for this and assist patients to overcome any barriers they may have; this will help prevent poor clinical outcomes and potentially unnecessary polypharmacy. The case study in Box 4 demonstrates how to do this. Mrs G comes to collect her repeat medication (metformin and ramipril) from the pharmacy. You note she also has latanoprost eye drops on her repeat medications, but has not requested these for some time. You decide to ask her about her eye drops, she states she no longer needs them as she does not have any symptoms and her glaucoma has “got better”. Glaucomatous damage is irreversible so it is important to highlight that glaucoma is a broadly symptomless disease. Intraocular pressure needs to be controlled in the long term, and kept below 24mmHg to prevent visual problems as a result of damage to the optic nerve. As Mrs G also has diabetes and hypertension, she is at higher risk of glaucoma; therefore, it is important that all three conditions are adequately controlled. Following your discussion, it becomes apparent that Mrs G did not understand the importance of continuing to use the eye drops until her ophthalmologist agrees her intraocular pressure is acceptable or she is no longer at risk of developing visual loss within her lifetime. Close your eye and press gently on the inner corner of your eye for 30–60 seconds to ensure the drop is fully absorbed. OTC treatment of common eye problems in the pharmacy is often limited to management of red, sticky, gritty and sore eyes. However, pharmacists should have a good awareness of how to treat DED and bacterial conjunctivitis,, and recognise red flag symptoms (e.g. visual loss; pain; flashing lights, floaters or halos; headaches; and co-existing diabetes or hypertension). Where established, minor eye condition schemes (MECS) involve local accredited opticians or optometrists who offer urgent appointments (see Table 1 for an overview). Patients can self-refer or be referred by a pharmacist, GP or NHS 111. Those participating in the MECS can refer patients to eye casualty or hospital eye services if required. Pharmacists are advised to check the details of MECS in their area for a definite list of referral criteria. The authors were paid by Jizak to write this article and full editorial control was maintained by the journal at all times. Wolffsohn J, Bilkhu P, Wolffsohn T & Langley C. Identification of dry eye conditions in community pharmacy. Pharm J 2016;297(7892):S7–S10. Kim JH, Kim JH, Nam WH et al. Oral alcohol administration disturbs tear film and ocular surface. Ophthalmology 2012;119(5):965–971. Wolffsohn J & Craig JP. Evidence-based understanding of dry eye disease in pharmacy: overview of the TFOS DEWS II report. 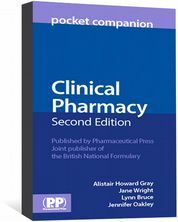 Pharm J 2017;299(7905):166–170. Evans K & Madden L. Recommending dry eye treatments in community pharmacy. Pharm J 2016;297(7892):S11–S14. Chong E, Kreis A, Wong T et al. Alcohol consumption and risk of age-related macular degeneration: A systemic review and meta-analysis. Am J Ophthalmol 2008;145(4):707–715. Wang S, Wang JJ & Wong TY. Alcohol and eye diseases. Surv Ophthalmol 2008;53(5):512–525. Chakravarthy U, Augood C, Bentham G et al. Cigarette smoking and age-related macular degeneration in the EUREYE Study. Ophthalmology 2007;114(6):1157–1163. Khan JC, Thurlby DA, Shahid H et al. Smoking and age-related macular degeneration: the number of pack years of cigarette smoking is a major determinant of risk for both geographic atrophy and choroidal neovascularisation. Br J Ophthalmol 2006;90(1):75–80. Klein BE, Klein R, Linton KL et al. Cigarette smoking and lens opacities: the Beaver Dam Eye study. Am J Prev Med 1993;9(1):27–30. Moradi P, Thornton J, Edwards R et al. Teenagers’ perceptions of blindness related to smoking: a novel message to a vulnerable group. Br J Ophthalmol 2007;91(5): 605–607. Barai J & Hammond C. Computer vision syndrome: causes, symptoms and management in the pharmacy. Pharm J 2017;299(7908):363–366. Connelly D. Dry eye: pathology and treatment types. 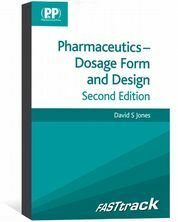 Pharm J 2016;297(7892):S2–S3. Был найден мной интересный сайт про направление https://klimat-group.com.ua. Нашел в интернете классный портал со статьями про http://klimat-group.com.ua.